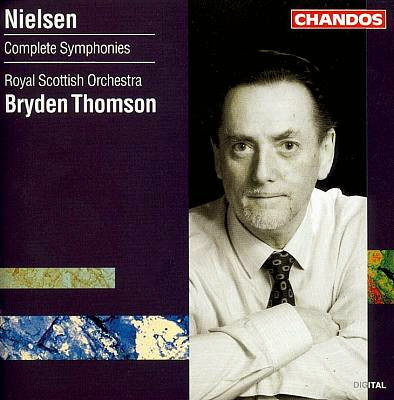 Bryden (known as Jack) Thomson was Principal Conductor of the RSNO from 1988 till his death from cancer in 1991. He had been appointed just before I became Chief Executive of the orchestra. I found him very good company, and a very versatile conductor. He was also very brave. He was far from well during his time with the RSNO, but never complained, or let his illness affect his work. I have never forgotten his superb last performance, in the new Glasgow Concert Hall, of Prokofiev’s Third Symphony. At the end, looking completely exhausted, he stood in the wings and thanked and said goodbye to the players as they came off the platform. He was very easy-going in his manner, and without any of the arrogance occasionally found in conductors. He directed the RSNO at the Barbican in London for the Royal Concert, in a year when Queen Elizabeth The Queen Mother was the attending member of the Royal Family. During the interval Jack Thomson and Queen Elizabeth gossiped and laughed together in a corner over their drinks, and it was quite difficult to separate the two Scots tactfully for the start of the second half of the concert. On another occasion at a BBC Prom, Thomson conducted a large number of Scottish songs and dances as encores, to the delight of the audience, but much to the fury of the BBC, who had to pay the orchestra overtime. Jack, of course knew perfectly well what he was doing. But it was quite a long time till the RSNO were invited to the Proms again. I’m quite enamored of Thomson’s Nielsen cycle, as well as his Vaughn Williams cycle with the same orchestra. He and Frank Shipway deserve to be far better known. Oops, I misremembered. His Vaughan Williams cycle is with the London Symphony, not the RSNO. I have the Martinu set as well but have never warmed to it. Thomson did many fine things, but if he is to be remembered for one great thing it should be his pioneering first recordings of the complete cycle of symphonies by Arnold Bax. The true Bax revival began with Bryden Thomson.